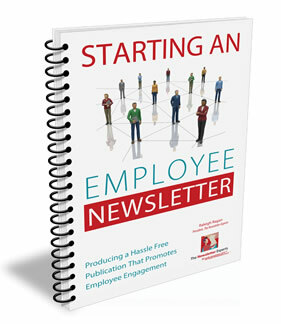 Interested in outsourcing your employee newsletter? Take the next step by requesting a no-obligation newsletter quote. "Writing, designing and producing our monthly newsletter used to be a time-consuming chore. Since outsourcing it to The Newsletter Experts, the whole process is easy and hassle-free. Each month, we can expect a high quality newsletter that - most importantly - is always distributed on-schedule. We could not be more thrilled with the friendly professionals at The Newsletter Experts and look forward to working with them for many years to come." "The Newsletter Experts make the newsletter design process so easy. They pull the entire thing together, keep us on schedule - all with very little time required of us. We are extremely pleased with our improved newsletter and look forward to working with them for a long time." "Our employee newsletter was long overdue for an overhaul when I approached The Newsletter Experts. After I provided them with insight into our history, an overview of our culture, and a sample of our existing newsletter, they produced a fresh and creative design that fits our exact needs. I now count on The Newsletter Experts as a "virtual" part of our marketing communications team to create our newsletter every quarter." "As the cornerstone of our employee communications program, our employee newsletter touches everyone within the company, from high-level executives to hourly staff. The Newsletter Experts' understanding of design and the need to communicate on a variety of levels have resulted in an overwhelmingly positive response within the organization. Their ability to work within extremely tight deadlines, be consistently on budget, and provide strategic counsel has greatly exceeded our expectations." Explore our Learning Center for a wealth of information about employee newsletters.